Safran to lower offer for Zodiac to below 25 euros/share for Zodiac. That's according to Reuters citing French paper La Tribune. President Donald Trump's proposal to sell half of the U.S. Strategic Petroleum Reserves (SPR) will likely have little impact on OPEC's efforts to reduce a global oil glut, Goldman Sachs said on Tuesday. The White House budget, delivered to Congress on Tuesday, aims to start selling SPR oil in fiscal 2018, which begins on Oct. 1. Under the proposal, the sales would generate $500 million in the first year and gradually rise over the following years. Goldman Sachs said such sales would only average around 110,000 barrels per day annually through 2027, 66,000 bpd between 2018-2020 and just 25,000 bpd this year. This is negligible relative to both the size of the OPEC cuts of 1.7 million bpd and the global oil market of 98 million bpd, the bank said in a note. M&S has reported a 63.5% fall in pre-tax profits to £176.4 million in the current financial year. Much of the decline was due to one-off items, including the costs of store closures and shutting the company’s defined benefit pension scheme. The new M&S boss Steve Rowe is pulling out all the stops to turn performance around, but restructuring the business comes at a cost, and that’s why the company has posted a huge fall in profits. A late Easter also added to the retailer’s woes, as its latest festive sales will fall into next year’s profits. On top of its own singular problems, M&S is facing some big economic headwinds, in particular the fall in sterling, which is pushing up the price of food and clothes against a backdrop of squeezed consumer incomes. The high street is also in decline as more of us turn to our mobiles and tablets to do our shopping, which leaves M&S fighting an even steeper uphill battle. All of this paints a pretty gloomy picture for the high street retailers for the foreseeable future. The new strategy at Marks and Spencer is much needed, and may eventually pay off, but it’s not going to be an easy ride. 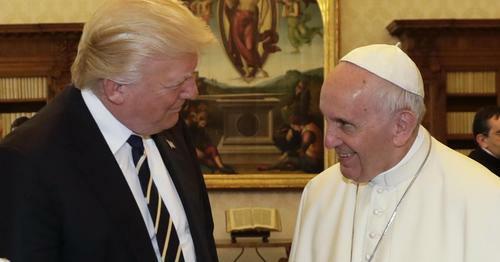 CNBCPresident Trump and Pope Francis met at the Vatican City on Wednesday and broadcast a tone of peace around the globe. In a synchronised way what we see now is growth picking up all over the world in all different regions. Last November after the US elections, markets got the perception that there would be a jump in growth in the US that would have spillovers in the other parts of the world. In the Fed, they have become much more cautious in communication. They have become more transparent so the sort of taper tantrum we saw is not being repeated. Markets understand the reaction functions of the major central banks. China has rejected a move by Moody's to lower its credit rating, saying the downgrade exaggerates the difficulties facing the economy and underestimates the government's reform agenda. 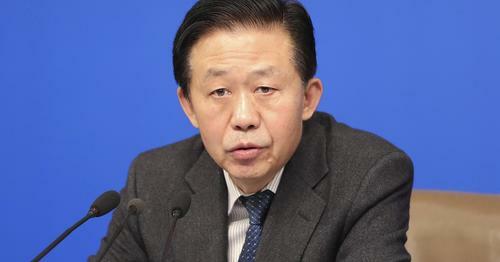 The country's finance ministry claimed the credit rating agency used "inappropriate methodology" in its decision to lower long-term local and foreign currency issuer ratings from "Aa3" to "A1". Moody's views that China's non-financial debt will rise rapidly and the government would continue to maintain growth via stimulus measures are exaggerating difficulties facing the Chinese economy, the finance ministry said in a statement Wednesday, translated by Reuters. CNBCChina has rejected a move by Moody's to lower its credit rating, saying the downgrade exaggerates the difficulties facing the economy and underestimates the government's reform agenda. European stocks continue to trade lower this morning, extending the losses seen in Asian markets, after Moody's downgraded its credit rating for the world's second-largest economy China. China has rejected a decision by Moody's ratings agency to lower its credit rating, but Danske Bank says the move places focus on China's financial risks relating to it high debt levels and shadow banking industry. We expect focus on China's medium-term challenges to resurface this year as growth slows down and we see downside risks to Chinese growth. We do not expect a financial crisis over the next one to two years but we still see a 50 percent probability of a crisis or a Japan 'lost decade' scenario within three to five years. The euro remains flat against its peers ahead of a speech today by ECB President Mario Draghi. Despite being buoyed on Tuesday by positive PMI data and comments from the German Chancellor Angela Merkel, which indicated that the currency was too weak, the euro remains vulnerable as analysts anticipate Draghi’s response. Investors will be hoping for a signal of agreement that boosts the currency, however, the president’s previous commitments to ECB policy could dampen expectations. The pound rose marginally against the dollar, after maintaining a strong footing on Tuesday as the markets were able to look past the tragic events in Manchester. However, the events have left the currency subdued following its fall earlier in the week when compared to its movements in the past month. With the election campaign suspended, investors will be looking for different drivers for the currency. 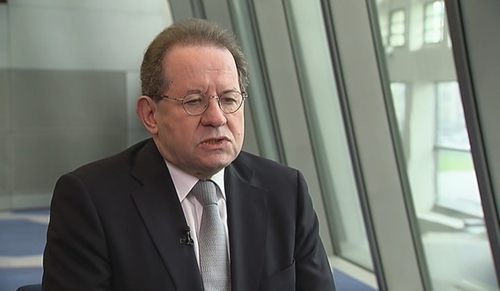 In particular, the ECB speech later today will be of particular interest. Analysts will be keeping an eye on any movement in the euro which could influence the pound. The Manchester suicide bomber who killed 22 people at a concert venue packed with children had recently returned from Libya, a British minister said, and her French counterpart said he had links with Islamic State and had probably visited Syria too. Interior minister Amber Rudd said Salman Abedi had likely not acted alone, and troops were being deployed to key sites across Britain to help prevent further attacks after the official threat level was raised to "critical". Police made three new arrests in South Manchester on Wednesday in connection with the concert bombing. They provided no details on the individuals arrested. Rudd said up to 3,800 soldiers could be deployed on Britain's streets, taking on guard duties at places like Buckingham Palace and Downing Street to free up police to focus on patrols and investigation. An initial deployment of 984 had been ordered, initially in London, then elsewhere. Rudd also scolded U.S. officials for leaking details about the investigation into the Manchester attack before British authorities were prepared to go public. 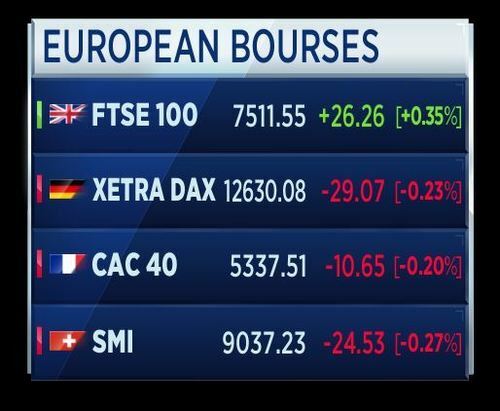 A mixed day for European markets. 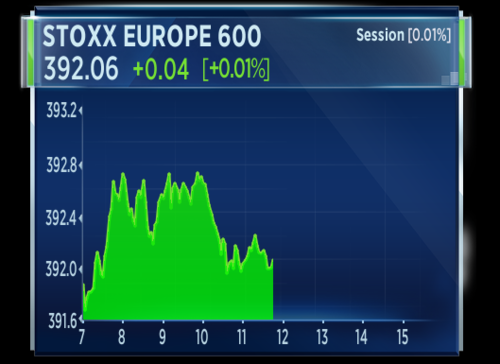 The pan-European Stoxx 600 has turned flat, while some individual bourses are showing larger moves. 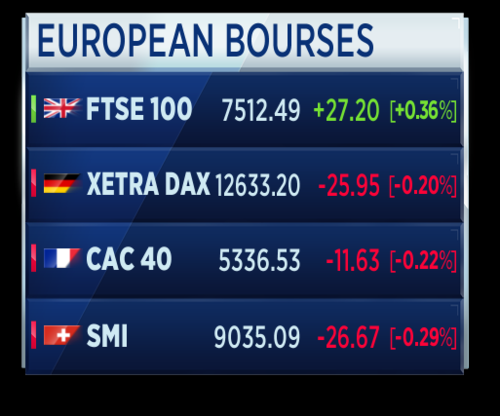 The FTSE 100 is up 0.3 percent, while the German DAX is down 0.2 percent. President Trump's budget for 2018 was announced yesterday, declaring a target of returning the U.S. economy to regular 3 percent GDP, like the economy enjoyed between the 1980s until the mid 2000s. However, Nicholas Colas, chief market strategist at global brokerage Convergex, asks whether or not 3 percent growth is achievable. History may not be laconic, but it has a point. Since the end of World War II, productivity growth has been the most important factor in GDP growth - even more so than greater female workforce participation. So how does the US improve worker productivity? That conversation has been hijacked by the tech sector, but the answer must lie elsewhere. No one doubts that 21st technological advances are impressive, but they have done nothing for measureable productivity or wage growth (unless you write code). U.S. markets responded positively to the budget yesterday, extending gains for a fourth consecutive session. 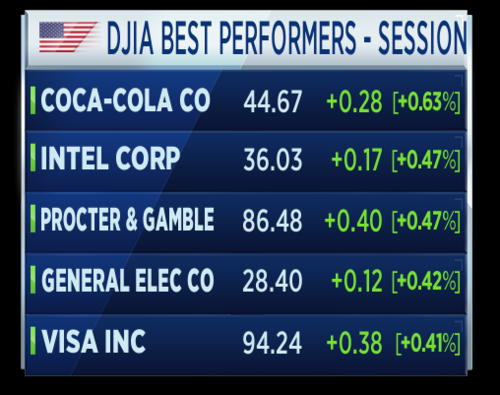 Stock market futures suggest U.S. indexes should open cautiously higher, extending the winning streak for a fifth session. There's lots of economic data and earnings to watch for in the U.S. economy today. At 09:00 a.m. ET we have the house price index for March. House prices previously grew 0.8 percent month on month and March growth of 0.6 percent is expected according to forecasts. At 10:00 a.m. ET we have existing home sales data for April. The previous reading was 5.71 million, and a reading of 5.65 million is forecast. Also at that time, expect an interest rate decision from the Bank of Canada. The rate is expected to be held at 0.5 percent. On the earnings front, we have Lowe's, Tiffany and Chico's before the bell. HP, PVH and Williams-Sonoma are expected to report after the bell. President Trump's $4.1 billion budget proposal has met mixed response. The credit agency Moody's says the breadth of discretionary spending cuts show the limited room for manoeuvre in the budget, as Medicare and social security entitlements are excluded from reform. Moody's also said half of the projected savings in the budget based on growth assumptions are "overly optimistic." Meanwhile, the president is on a tour of the Vatican and has met with the Pope, who asked the president to be a peacemaker. The rate of U.S. building permits issued in April has been confirmed at an annual rate of minus 2.5 percent, according to the Commerce Department. 1,228,000 permit units were issued in April, down from the previous reading of 1,229,000. 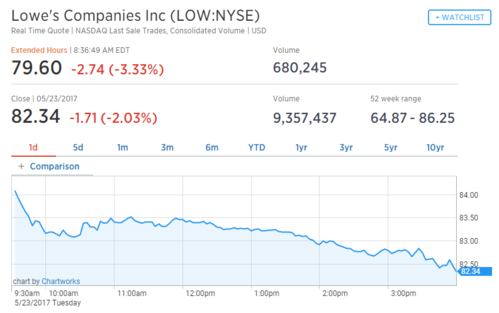 U.S. home improvement retailer Lowe's posted Q1 results earlier this morning. The company missed sales estimates, posting sales of $16.9 billion, below forecasts of $16.96 billion. Same store sales rose 1.9 percent and the company forecast full year total sales up 5 percent. The company also repurchased $1.2 billion of stock in the quarter. Markets seem unimpressed with the results; the share price has dropped more than 3 percent in premarket trade. 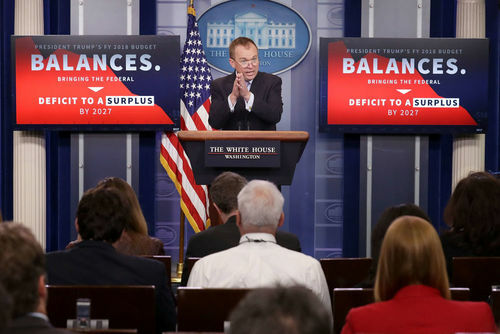 Credit ratings agency Moody's has shared its analysis of President Trump's 2018 budget proposal, dubbed a "taxpayer first" budget by the Trump administration. Moody's forecasts that U.S. economic growth will be slower than assumed in the budget, based on the outlook for U.S productivity and demographics. This draft budget confirms our assumption that any tax cuts would not be fully funded. Moody's warns that any unfunded tax cuts would likely bring forward weakening in the U.S. fiscal strength, although acknowledges the budget is not likely to be adopted in its current state. ECB President Mario Draghi says the macroeconomic environment is improving, but the central bank must remain vigilant. Speaking to reporters, Draghi says the central bank sees no evidence of credit-fuelled bubbles being developed, nor any reason to deviate from the indications it has been providing. Draghi says the Eurozone is witnessing increasingly solid recovery, though underlying inflation pressures remain subdued. Mexico's consumer prices fell 0.34 percent in the first-half of May, according to the country's Stats Agency. This is less than the fall of 0.4 percent expected. Core consumer prices grew 0.15 percent. In the 12 months through to mid-May, CPI inflation grew 6.17 percent. Some more data, this time from Europe. Belgium's business confidence index for May fell to minus 1.1 from minus 0.8 in April. This was below the forecast rise to minus 0.5. 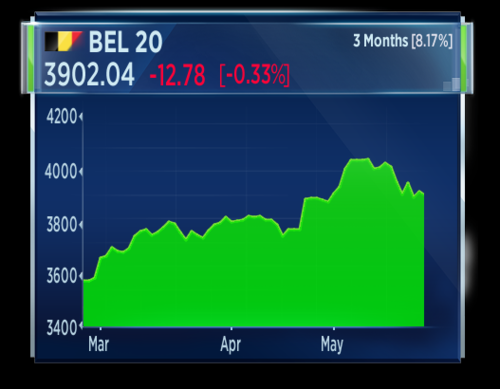 The Belgian stock market dipped lower on the news. The index is currency negative, down more than 0.3 percent. Over 3 months, however, the index remains up more than 8 percent. British police are hunting a possible bomb-maker and other accomplices of the Manchester suicide bomber, Reuters reports citing a source with knowledge of the investigation. U.S. markets are now open, up for a fifth day. This is the longest winning streak for U.S. stocks for three months. 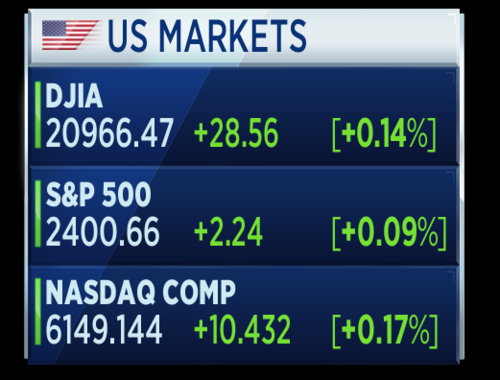 The Dow is flat at the start of trade, but remains positive. The losses incurred in the previous week have now been recovered. 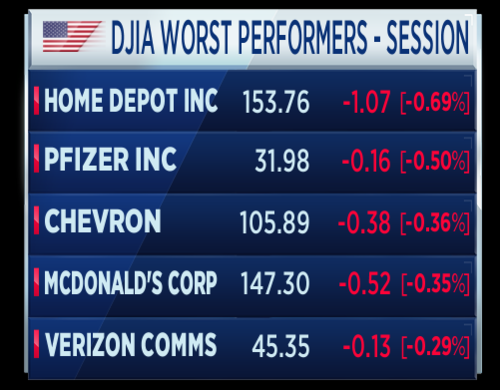 These are the stocks at the top and bottom of the U.S. index. The United Nations is criticising the Trump budget proposals, which were revealed yesterday. A U.N. spokesman says the budget cuts proposed in the budget would "simply make it impossible" for the U.N. to continue its work, according to Reuters. The spokesman adds that the U.N. is ready to discuss with the U.S. and other countries on how to create a more cost-effective organization in order to purse shared goals and values. Consumer discretionary stocks are lagging and tech stocks are leading in early U.S. trade. The release of the Federal minutes is also looming over trade. The Fed minutes will be released at 2:00 p.m. ET. 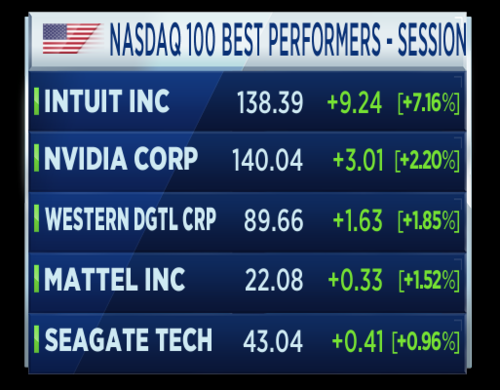 Meanwhile, the Nasdaq is leading among the three major indexes, up around 0.13 percent. Here are the winners and losers on the index. BlackRock manages more money than other asset manager in the business, with more than $5 trillion of assets under managements (full disclosure, that including CNBC's staff pensions). BlackRock CEO Larry Fink has spoken to CNBC about his key tenets of fund management. His top tips include ignoring short-term swings and anticipating change. A miss for U.S. home sales. Existing home sales for April fell 2.3 percent, compared to expectations of a fall of just 1.1 percent. It's the third straight month of falls. Home sales totalled 5.57 million, below expectations of 5.65 million. The median existing home price is up 6 percent on the year to $244,000. Mexico's inflation index fell around 0.3 percent month on month in the first half of May, according to data released earlier today. Lowe electricity tariffs drove the fall, according to Andres Abadia, senior international economist at Pantheon Macroeconomics. The key driver was energy tariffs, down 5.45; that's normal at this time of the year. Fruit and vegetable prices, meanwhile, were up by 0.1%, which is unusual for early May. Non-core inflation jumped to 10.7% y/y from 10.2% in Abril. The core component, meanwhile, rose by 0.2% unadjusted, thanks mostly to higher goods prices. The year-over-year core rate rose marginally to 4.8% from 4.7% in April but the underlying trend is starting to stabilise. Overall, Mexico’s headline continues to suffer from the lagged effect of the MXN’s devaluation in 2016 and the gasolinazo more recently. But we are starting to see some signs of stabilisation, particularly in the core. Softer private spending, tighter monetary policy, and weak confidence will help to reduce inflation pressures over the next three-to-six months, and the MXN's appreciation since January will start to deliver some relief soon. 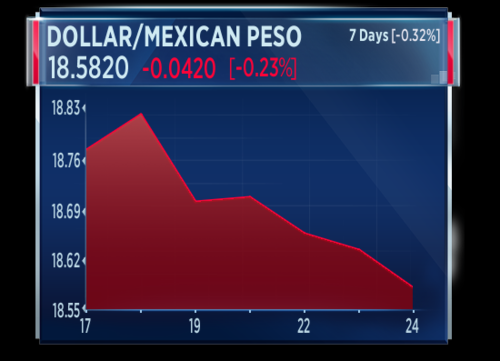 The Mexican peso continued to gain against the U.S. dollar, up around 0.2 percent. over 7 days, the peso is up around 0.3 percent. 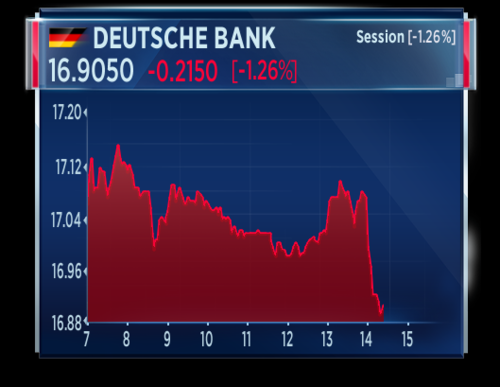 Deustche Bank shares have fallen sharply, sliding to a session low in late afternoon trade. 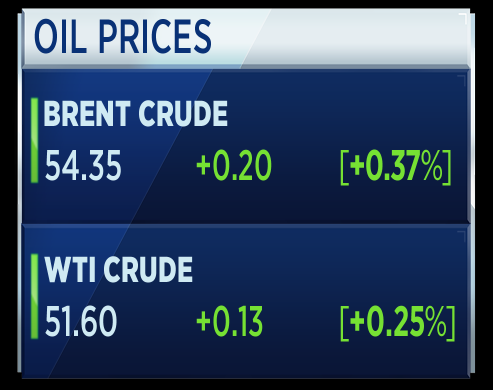 Oil prices are picking up today, slightly higher on news that U.S. crude exports declined to 625,000 barrels per day in the week to May 19, down sharply from the 1.086 million barrels per day reported one week earlier, according to EIA data. However, gas futures are paring gains, as EIA data shows a smaller than expected draw in inventories. Today, a joint meeting of OPEC and non-OPEC ministers recommended a nine-month extension to the oil production cut. 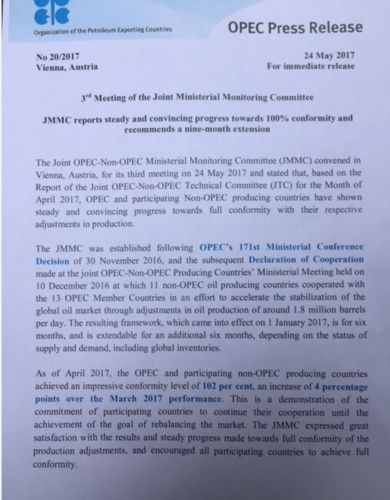 The JMMC says OPEC and non-OPEC producers are making steady progress towards full conformity on this decision, and also said it was pleased with the progress made so far towards balancing the market. Here's the press release put out today. 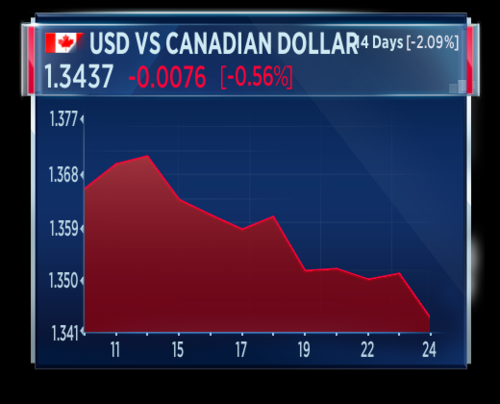 The Canadian dollar is strengthening today, up around half a percent against the the U.S. dollar. The currency has gained on the Bank of Canada's decision to hold interest rates at 0.5 percent. The central bank said uncertainties continued to cloud global and Canadian outlooks. European markets are now closed. 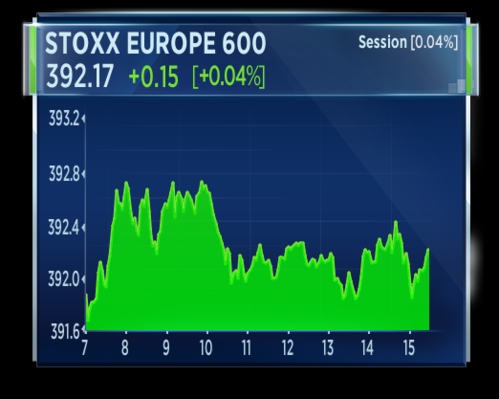 The pan-European Stoxx 600 finished flat up just 4 basis points. 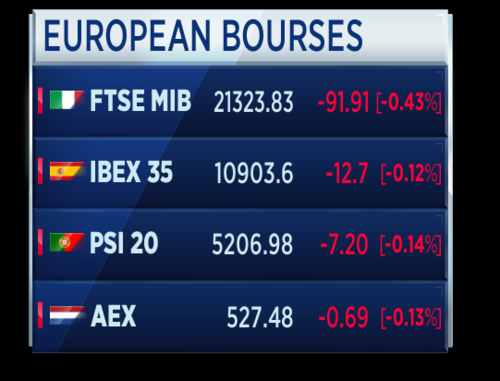 Here's how the individual European bourses performed, showing much more volatility than the Stoxx 600 suggests. The FTSE 100 outperformed the other indexes. 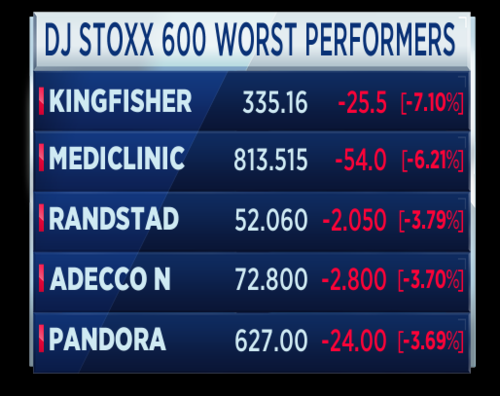 The blue chip index shrugged off the losses from yesterday following a suicide bomb attack in Manchester. 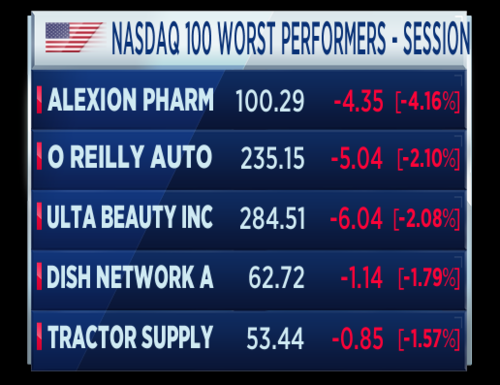 Financials performed well and the basic resources sector rose from session lows. 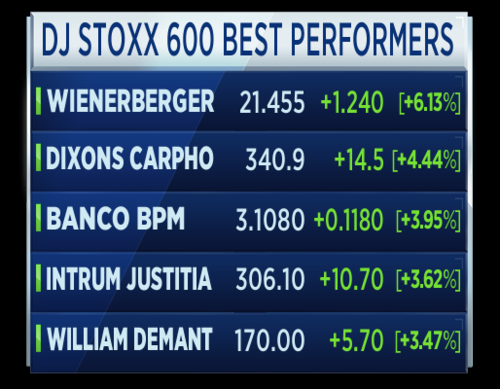 These are the stocks which finished at the top and bottom of the Stoxx 600. 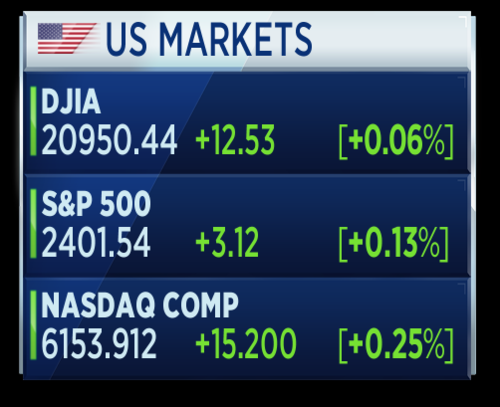 Meanwhile, U.S. stocks are continuing a winning streak, extending into a fifth session, although the rises have been very cautious so far. The Dow is up just 28 points, although the index is now positive for the month of May; the index had fallen sharply during last week's political turmoil. 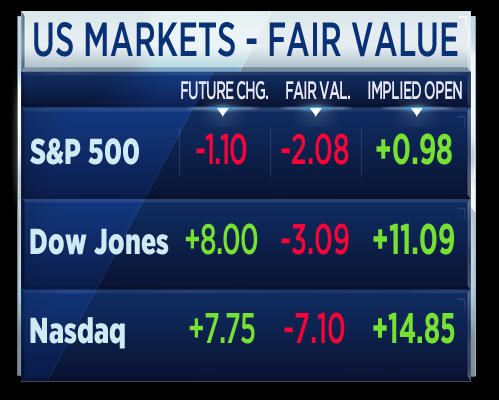 Trade is cautious in the U.S. as investors look ahead to the release of Federal Reserve minutes later today. We'll finish the blog there. As mentioned, the latest FOMC minutes are still to be released today. Investors will be keen for signs pointing to a June interest rate hike. Join us again tomorrow, where we'll be hearing from the AGMs for Legal & General and Old Mutual, as well as covering an important OPEC meeting to see if oil producers agree to extend a production cut for another 9 months.